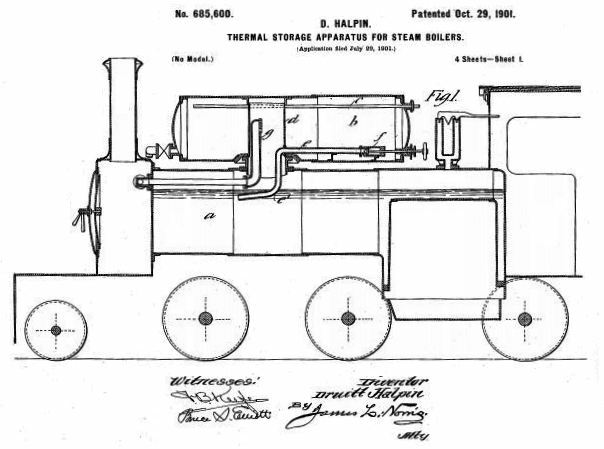 Druitt Halpin took out US patent 685,600 for a 'Thermal Storage Apparatus for Steam Boilers' in October 1901. The invention consisted of a vessel placed above the main boiler that stored a mixture of steam and water. The feed-water was introduced into this upper vessel, and it was claimed that sediment would be deposited there where it was easy to remove. This Lancashire & Yorkshire Railway (L&YR) locomotive, is Class 5 locomotive No 632, originally designed by the famous John Aspinall. In 1902, along with five other engines of the same series, it was fitted with an experimental Druitt Halpin thermal storage apparatus by Henry Albert Hoy, the locomotive engineer of the L&YR. The thermal storage tank was placed above the boiler, and neatly faired into it. Other locomotives, numbers 1015, 1164, 1315, 1335 & 1375 were fitted with similiar reservoirs in 1905. Despite the claims of easy removal, there were problems with the build-up of mud and scale. Later L&YR locomotive engineer George Hughes had them removed. 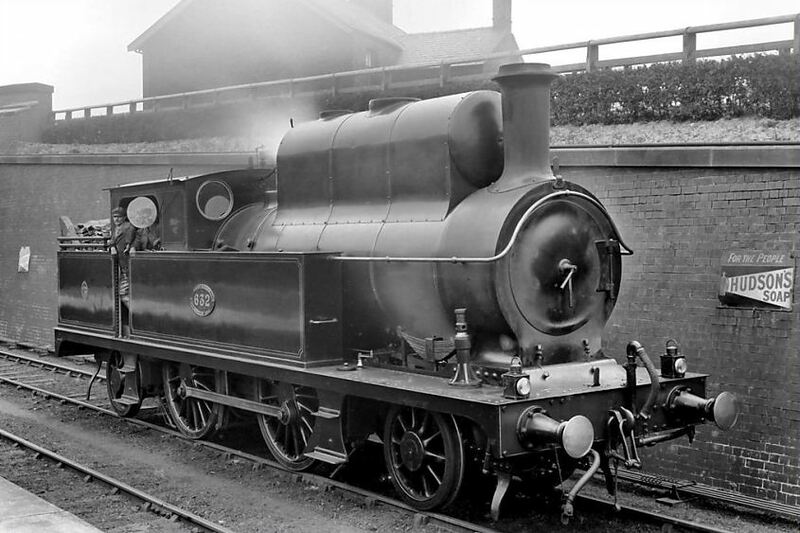 Wikipedia has more information on the Class 5 locomotive. The reservoir is communication with the boiler via the open tube d, which also serves as a steam dome as it allows the regulator g to be placed well above the boiler water level. When the valve f is opened water, which has been heated by the steam on top of it, passes from the reservoir to the boiler. 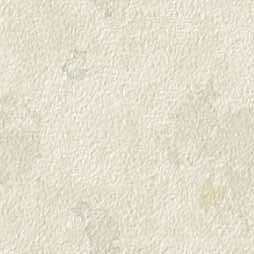 1) The total steam-containing surface area is increased, requiring extra lagging. 2) A water-level gauge is required on the end of the reservoir, and has to be watched. An extra valve is required to control the flow of water from the reservoir to the boiler. Railwaymen rarely welcomed the prospect of dealing with more complexity for the same wages. 3) If the reservoir were to contain a lot of water, this would raise the locomotive's centre of gravity, with possibly bad effects on its stability.